Pastor Chris will be teaching a class on how the Bible is put together. We will take a brief overview of all the books of both the Old and New Testaments, and see how each of them fits together. Knowing this will be a valuable tool for using and understanding the Bible. The textbook “Evolutionary Biology” declares, “Darwin made theological or spiritual explanations of the life processes unnecessary.” In other words, evolution has put God out of a job. The Origin of Species has trumped the Bible. We have been conditioned to believe that Darwinism is scientific, while Creationism is not. Science and faith are mutually exclusive. What’s wrong with that picture? Science, in the past 30 years, has made huge discoveries in astronomy, biology and psychology. The bottom line is this – random mutation and natural selection cannot account for the complexity of life. Your faith will be encouraged and strengthened as we survey the conclusions from the past 30 years of scientific inquiry. Through most of my life I have thought and said of myself that I am not a “Psalm” or meditative type of person. After hearing and reading testimonies of others on how much they benefit from and appreciate the Psalms I decided it was past time for me to address this weakness. 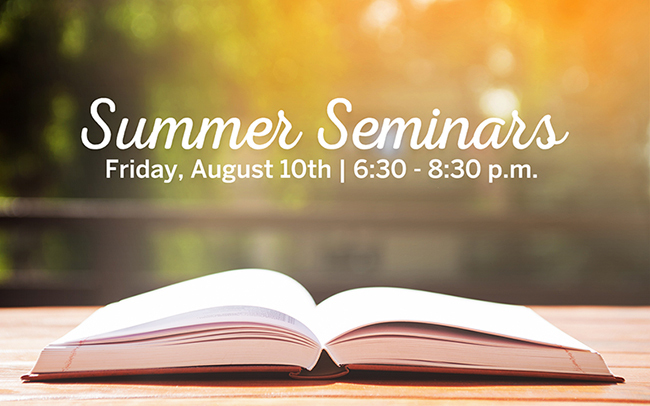 In this seminar I will share with you how I am growing to appreciate greatly this vital portion of Scripture.